Lillian Trasher Orphanage, in Assiut, was founded in the early 1900s by a young American woman, known among Egyptians simply as “Mama Lillian.” She dedicated her whole life to caring for orphaned children. Since its establishment, the orphanage has cared for over 20,000 children. Besides children who lost ether one or both parents, this organization takes care of widowed mothers and their children. It is currently home to 400 orphans, 40 widows and 50 staff members with their families. 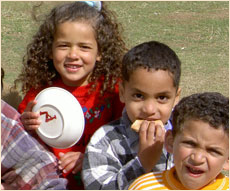 Children are offered social, educational, recreational and vocational activities, as well as complete healthcare. Most importantly, they are brought up with a sense of belonging to one big, loving family.